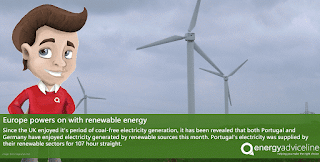 May has been a great month for renewable energies - both Germany and Portugal successfully powered their electricity supplies using purely renewable technologies. Data revealed from an analysis by national energy network figures showed the Portugal's electricity was powered by solar, wind and hydro for a total of 107consecutive hours. Beginning in the morning of the 7 May, the country was powered by renewables until the following Wednesday evening. This follows news that Germany announced their own clean energy day on Sunday 15 May - where their power prices went into negative figures several times throughout the day, effectively paying their consumers to use the energy. The support for Portugal's wind energy fell in 2012, but despite this drawback the country has added 550MW of wind capacity over the past three years. During 2015 Denmark's electricity demand was fulfilled by 42% wind power - 20% in Spain, 13% in Germany, and 11% in the UK. Clean energy supporters marked this as a breakthrough and a 'historic turning point', especially since the UK enjoyed it's first ever coal-free electricity generation. Looking to the renewable energy targets from the EU, we will no doubt see more of these stories over the next four years. Julian Morgan, managing director of the leading price comparison and switching service said, "As electricity becomes cheaper to produce, we hope that consumers will be able to enjoy savings passed on by their suppliers. "Our message to consumers, is that this will be a long time coming for energy customers. In the meantime, always be sure that you are paying the most competitive prices by regularly comparing the market and finding out the best deals for you." Do we still need coal? A 'historic turning point' has been reached, as declared by green energy supporters. In the UK, part of our electricity is generated by coal. 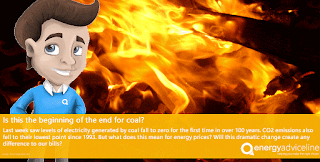 Last week the amount of electric energy that is created from coal fell to zero late on Monday 9 May, and remained this way until the early hours of Tuesday morning. The last time this occured was during 1882, when the world's first public coal-fired generator opened in Holborn - according to Carbon Brief, reporters of climate science. On top of this, our carbon emissions are now the lowest that they have been for at least the past 20 years. This shift in electrical energy generation has helped to cause this reduction, and the demand on electricity supplies in general have remained at a fairly flat level over the past ten years. But what does this mean for energy prices? The government have always been aiming to phase out coal generation by 2025 due to it's level of pollution, and with renewables on the up this is beginning to look like an acheivable target. With electricity less dependent on the fossil fuels of the industrial revolution the cost of producing the energy should begin to decline. With companies looking to keep their profit margins looking healthy it's anyone's guess where the market will go, but the advice remains that looking around for the most competitive prices will continue to be the most effective way of saving money on your energy spend. 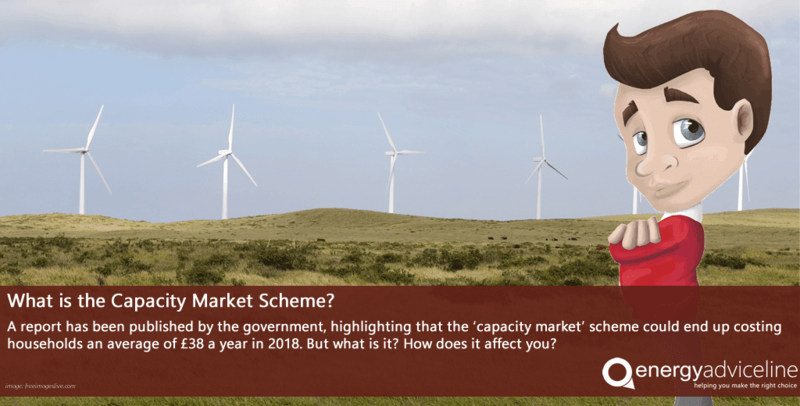 Capacity market scheme: a waste of money? The 'capacity market' scheme has been set up between the government and energy companies to keep power stations on standby for times when demand peaks. But how does it affect me? The government have published a report stating that by paying the energy companies to cover this, each household will see bills increase around £38 in 2018 - a total of £3bn. Why has this been set up? “Our top priority is ensuring that families and businesses have a secure, affordable, clean energy supply, which they can rely on now and into the future.” said a spokesperson for the Department of Energy and Climate Change (DECC). Energy companies have been closing their doors due to the drop in wholesale prices meaning that the stations are no longer commercially viable. With so many elections going on across the country the report published by the government has gone relatively unnoticed. The report can be viewed here. 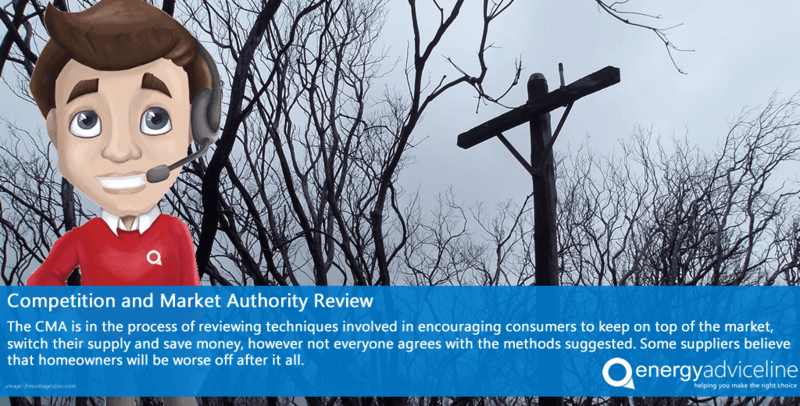 Energy companies claim that this will help to beat the rise of prices when the wholesale market changes. 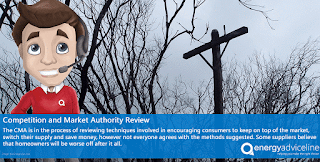 The DECC has claimed this will effectively save households an average of £48 in 2018. So will I save? Or will I spend? It's hard to say at this point, with the market always changing, as we find out more the position in the market will be clearer. The best way to try and combat this is to ensure that when your renewal period comes along you're paying the most competitive prices. These can be found at energyadviceline.org.uk - and we even do the hard work of switching for you.